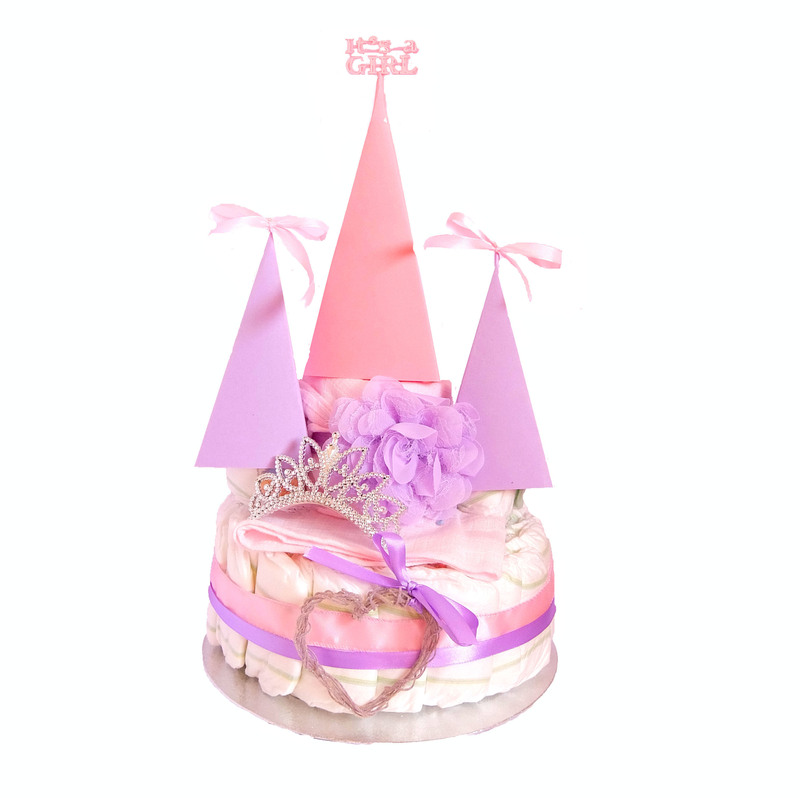 An adorable princess-themed 2 layer pamper cake. Perfect as a gift or centerpiece for a baby girl celebration! Approx. 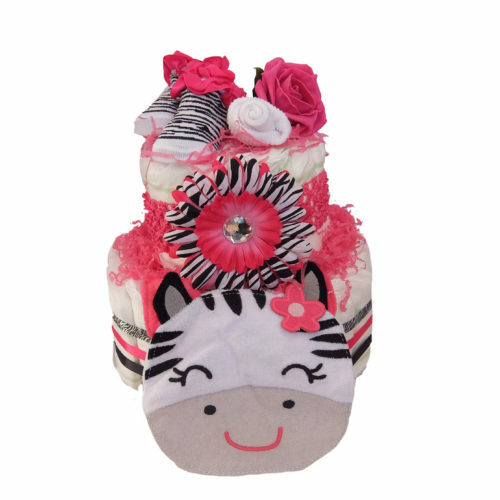 30 diapers, 1 tiara, 1 decorative wire letter/heart, 1 lace headband, 1 muslin. 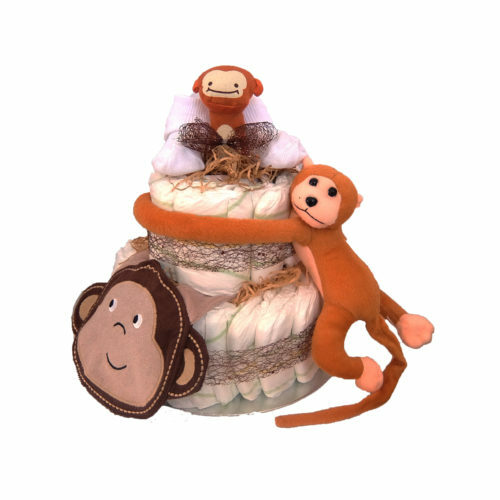 Please specify which letter you would like by leaving a message in the box on the order page. Picture shown with wire heart. Please Note: Whilst your order will always contain these items, the exact colors and styles of each item may vary from pictures shown.